We can provide custom lettering and graphics to dress up your vehicle and spread the word around town. 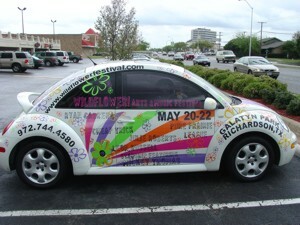 Or, to make a bigger splash, we can wrap your entire vehicle with a custom, full-color design. We'll help you take advantage of the free ad space your vehicle provides.